Apple Watch Bluetooth Not Working? Here's Why & The Real Fix! You are at:Home»Apple Watch»Apple Watch Bluetooth Not Working? Here’s Why & The Real Fix! Apple Watch Bluetooth Not Working? Here’s Why & The Real Fix! You want to pair your Apple Watch to a Bluetooth device, but for some reason they won’t connect. No matter what you try, you can’t seem to get your devices to connect wirelessly. In this article, I’ll show you what to do when Apple Watch Bluetooth is not working so you can fix the problem for good! First, try restarting your Apple Watch. If a minor software glitch is the reason why Apple Watch Bluetooth is not working, turning your Apple Watch off and back on will usually fix the problem. Press and hold the side button until the “Power Off” slider appears on the display. Swipe the power icon left to right across the slider to turn your Apple Watch off. Wait about 30 seconds, then press and hold the side button again until the Apple logo appears on the center of the watch face. Your Apple Watch will turn back on shortly after. 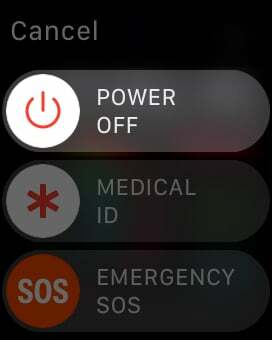 There is no setting on your Apple Watch that can turn off Bluetooth. So, if Bluetooth is not working on your Apple Watch, you may have accidentally turned off Bluetooth on the device you’re trying to connect your Apple Watch to. If the device you’re trying to connect to is your iPhone, open the Settings app and tap Bluetooth. Make sure the switch next to Bluetooth at the top of the display is turned on (green and positioned to the right). You may also want to try toggling Bluetooth off and back on, just in case you used Control Center to disconnect from Bluetooth devices until tomorrow. Another common reason why Apple Watch Bluetooth does not work is because your Apple Watch isn’t “in range” of the device you want to connect it to. 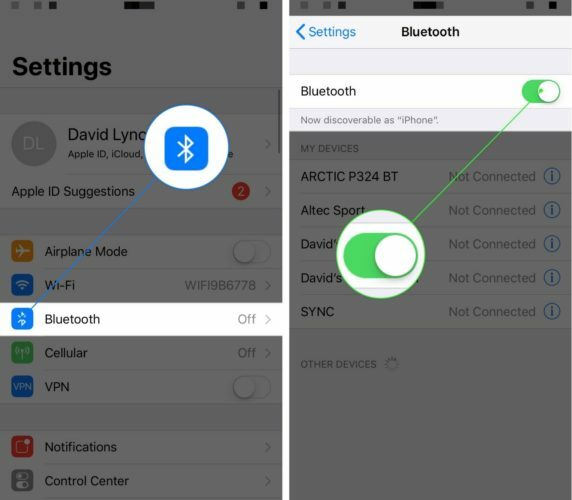 The standard range of Bluetooth devices is about 30 feet, but your iPhone and Apple Watch can usually connect via Bluetooth as long as they are within 300 feet of each other. However, if you’re connecting your Apple Watch to your iPhone or another Bluetooth device for the very first time, make sure you’re holding your devices right next to each other to ensure a clean connection. If Apple Watch Bluetooth is not working, the problem may be with your other Bluetooth device and not your Apple Watch. To see where the problem is really coming from, try connecting your Apple Watch to a different Bluetooth device. If your Apple Watch won’t connect to any Bluetooth devices, then there’s something wrong with your Apple Watch. If your Apple Watch only isn’t pairing with one other device, then the issue is coming from your other Bluetooth device, not your Apple Watch. This happens to me often when I’m at the gym. I try to pair my AirPods to my Apple Watch, but they’ll pair to my iPhone instead! Check to make sure that your Bluetooth device has connected to your iPhone, iPad, iPod, or computer instead of your Apple Watch. If your Bluetooth device keeps connecting to devices other than your Apple Watch, try turning off Bluetooth on all your other devices. This way, the only device it’ll be able to connect to is your Apple Watch. Our final troubleshooting step when Apple Watch Bluetooth is not working is to erase all of its content and settings. This will give your Apple Watch a completely fresh start and hopefully fix the software problem that’s preventing it from connecting to Bluetooth devices. 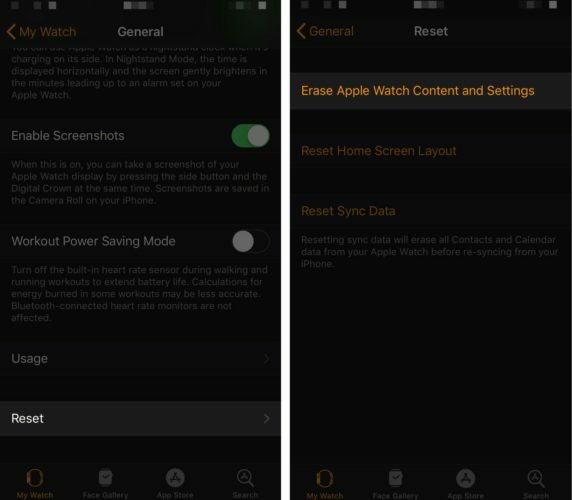 Open the Settings app on your Apple Watch and tap General -> Reset -> Erase All Content and Settings. After the reset is complete, you’ll have to pair your Apple Watch to your iPhone again like you did when you first took it out of the box. If Apple Watch Bluetooth still isn’t working, then you may be dealing with a hardware problem. It’s possible that the antenna inside your Apple Watch that connects it to Bluetooth is broken, especially if you’ve recently dropped your Apple Watch or exposed it to water. Set up an appointment at the Apple Store near you and have the Genius Bar take a look at it. Apple Watch Bluetooth: Working Again! 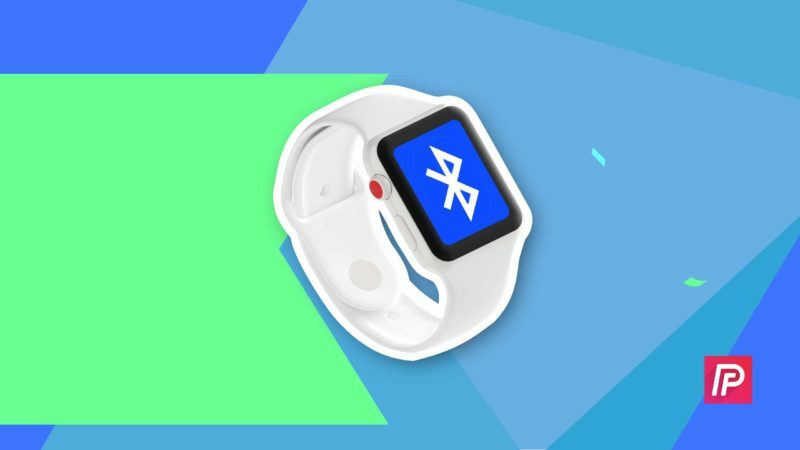 Bluetooth is working again and you can finally continue to pair your Apple Watch with other wireless devices. Next time Apple Watch Bluetooth is not working, you’ll know just how to fix the problem! Leave a comment down below if you have any other questions about your Apple Watch. Previous ArticleiMessage Out Of Order On iPhone? Here’s The Real Fix! Next Article Why Does My iPhone Turn Off When I Still Have Battery Life Remaining? Here’s The Real Fix!